Despite the ongoing recommendations and reports from different sources that we see daily about being attentive to children’s behavior on the Internet, many parents have no idea of ​​what their children do when interacting on social networks. 46% of teens say they would change their online behavior if they know that the parents would be paying attention to what they do. 62% of parents believe that their children can have serious problems. 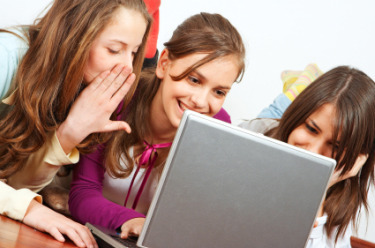 80% of parents have no idea how to monitor their children’s online activity. 74% of parents say they have no time or energy to see what their children do online. 39% of parents say they tried to use parental controls, but their children usually can circumvent them. 41% of the pre teens have passwords on their mobile apps, which were placed by their parents, but 92% feel knowing the same, while 60% of parents say they do not know that their children know the passwords. 71% of parents believe that they had conversations with their children about online behavior, while only 44% of teens said they had those conversations. 85% of children aged 10 to 12 years have profiles on Facebook, where the minimum age established in the rules of the social network is 13 years. 58% of these children aged 10 to 12, says he knows how to hide their online activities from their parents. 25% of the children is passed between 5 and 6 hours a day online, while parents believe that they are only online between 1 to 2 hours. 88% of teens believe that social networks like Facebook are safe and so continue posting personal information such as email and information about relationships. 95% of adolescents at least have a social networking account: Facebook 86%, Twitter 59%, Instagram 46%, Pinterest 42%, Tumblr 38% and Snapchat 33%. 22% of participants 10-23 years of age, admitted to using mobile devices to conceal their activities from their parents and 75% say they know apps through friends. 27% of participants 10-23 years old, witnessed cruel behavior on social networks. 89% were on Facebook, 36% on Twitter and 19% in Instagram. 58% of participants 18-23 years old, posted comments on those sites. 46% messages with obscene language. 14% of participants 13-23 years old hacking the account of a social network or email to others.